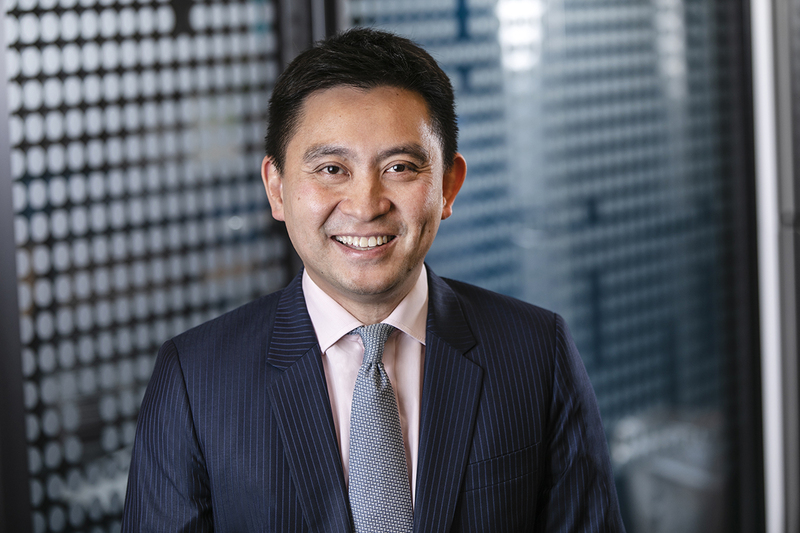 I was commissioned to photograph Bernard’s executive headshots at the Hong Kong office of Tradingscreen. As part of the brief, I was instructed to match the corporate brand look for the company’s international executives. The client company, Tradingscreen, produces SaaS-based solutions for financial markets. Headquartered in New York, it also has offices around the world in London, Paris, Singapore, etc. To complete this photography project, I studied the existing headshots of other executives, and matched the look and feel with the use of lighting, backdrop textures, and posing. I used glassy office surfaces as the background, and lit with multiple soft boxes to produce flattering, natural portraits. The conference rooms and entry hallway provided a great space for us to have the photoshoot with the right textures and without drastically disrupting the office’s operations. During the session, I worked with Bernard to put him at ease and ensure that his facial expressions felt open, friendly, and professional. Though Bernard was dressed in a suit and tie, we made sure he looked confident and approachable in his portraits.